Damien students and staff pose outside of the Capital during the March Against Violence. 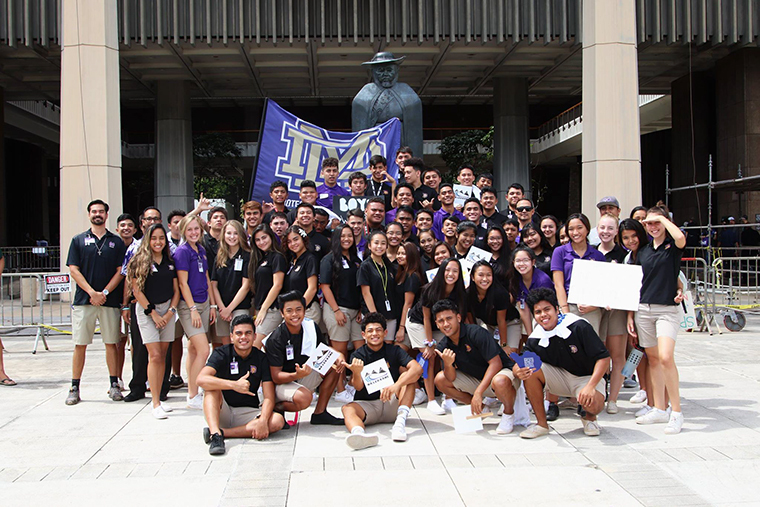 Damien students at the Capital during the Hawaii March for Life. 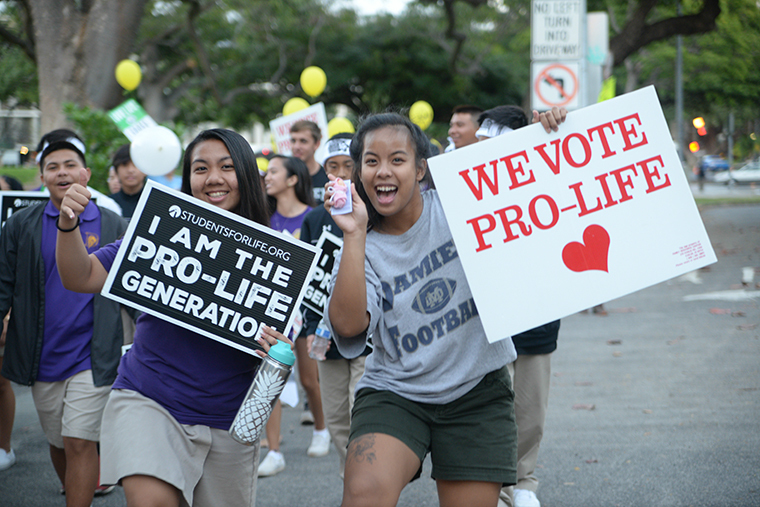 In January 2019 Damien Memorial students advocated for the sanctity of all human life at the annual Hawaii "March for Life" held around the State Capital. 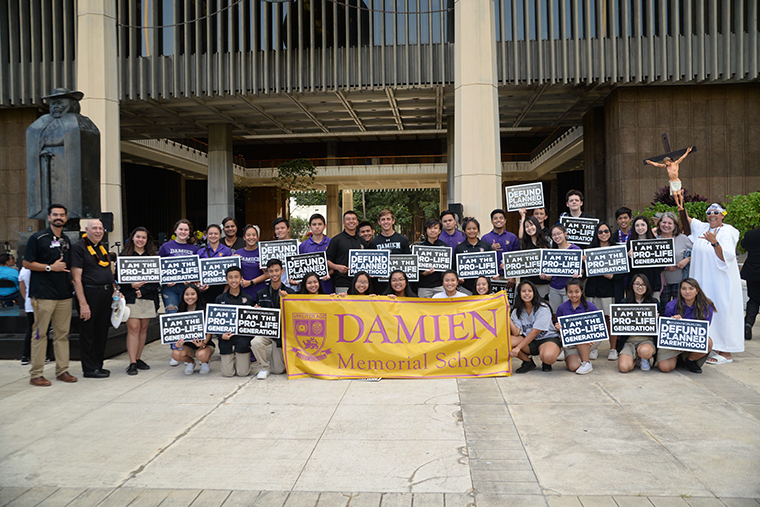 Damien had also recently became the fist school in Hawaii to create a student-led group with Students For Life of America, a national organization whose mission is to advocate for life and abolish abortion in this generation. It was a great event along side many fellow advocates for life. Damien Memorial even got a shout-out during a speech by governor nominee Andria Tupola.